Winter is a wonderful time of year for a wedding. Everyone is festive and everywhere you look there are decorations. 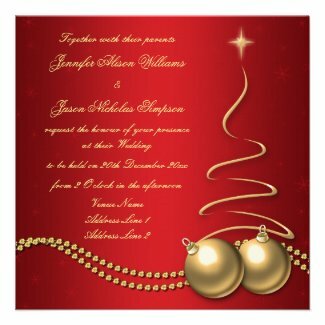 Holiday Christmas Tree Wedding Invitations are the perfect choice for a December wedding. Take a look at this great collection of custom invitations. They will be a magical beginning to your holiday wedding.